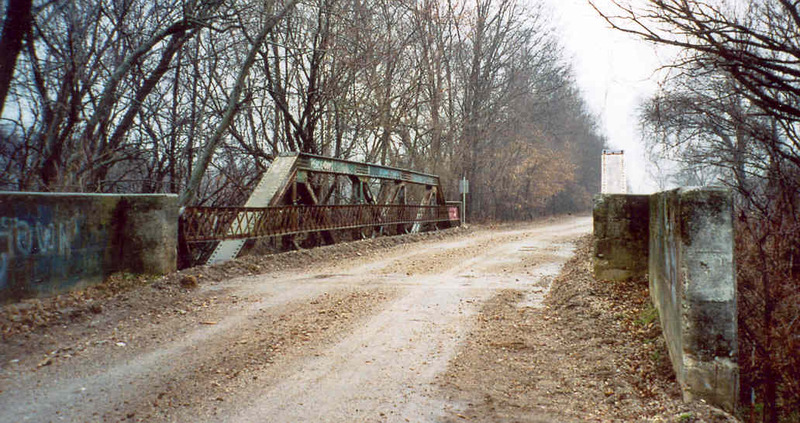 Four Mile Creek Bridge, Ottawa Co. This little Pratt pony truss is located on the Oklahoma-Kansas State line. It is about 90 feet in length and was built in the 1920's. 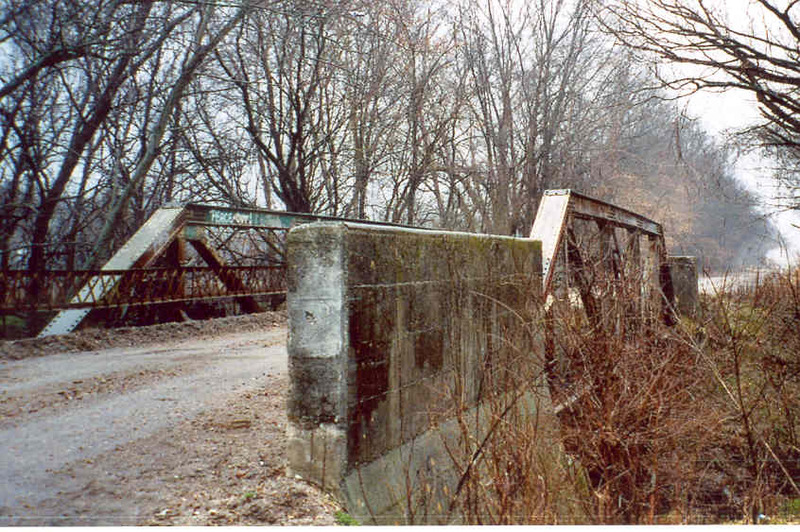 Notice the tall concrete walls that extend from the abutments. All pictures taken from the Oklahoma side of the bridge.